Windows Defender is a basic antivirus software that comes with pre-installed with Windows 10. Although Windows Defender isn’t the best antivirus software it can do a decent job, but sometimes Windows Defender can cause problems. Speaking of Windows Defender issues, we have reports that Windows Defender is closing games, so let’s see if we can fix this somehow. Windows Defender blocking programs, everything, application – Windows Defender can sometimes block certain applications from running. To fix that problem, unblock the application or disable Controlled folder access feature. Windows Defender blocking Steam – Many gamers reported that they are unable to run Steam because Windows Defender is blocking it. To fix the problem, add your Steam folder to the exclusions list. Windows Defender exclusions not working – In some cases, Windows Defender might block certain applications even if they are in exclusions list. To fix that, disable Windows Defender entirely or switch to a different antivirus solution. Go to Settings and open Update & Security. In the menu on the left select Windows Security. In the right pane click Open Windows Defender Security Center. On the right side of the window navigate to Virus & threat protection > Add or remove exclusions. Now select the directory of the game that is being closed by Windows Defender. Click Exclude this folder and this folder won’t be monitored by Windows Defender anymore. 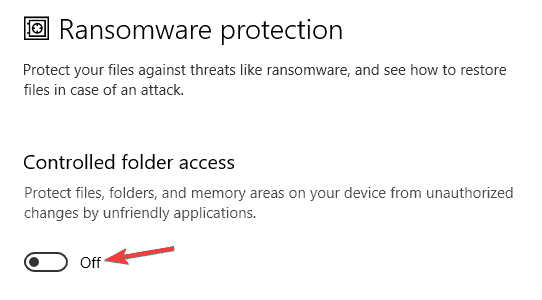 The second option is to turn off Windows Defender permanently, but we have to warn you that leaving your system without an antivirus software isn’t the best option. 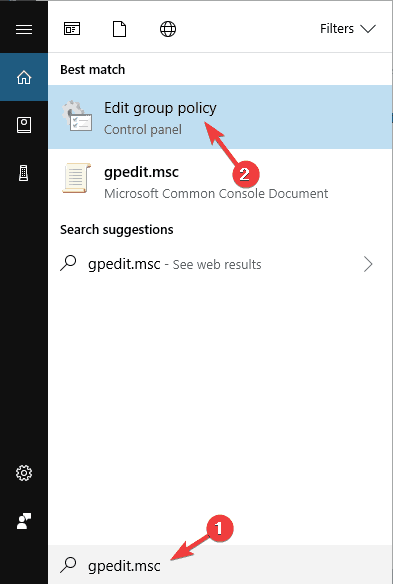 In the Search bar type gpedit.msc to open Local Group Policy Editor. On the right side find Turn off Windows Defender and double-click it. 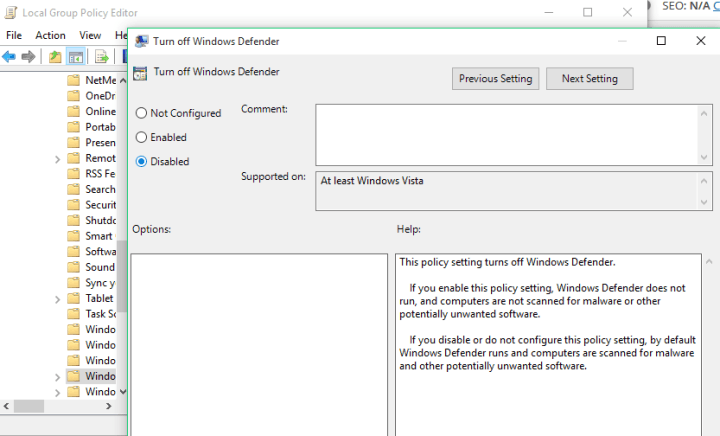 Turn off Windows Defender window will open, and you’ll need to select Disabled option. If this sounds a bit advanced, you can also add a registry key to disable Windows Defender. Download this file to turn off Windows Defender, and this file to turn on Windows Defender. When the download is completed, just run Turn_Off_Windows_Defender.reg. You might be asked if you want to run this file, so you just need to click Yes and confirm it. That’s it, Windows Defender is now disabled. If you want to turn it back on just run Turn_On_Windows_Defender.reg file that you’ve downloaded as well. Windows Defender offers solid protection, but sometimes it can cause certain issues with games to appear. On the other hand, third-party antivirus applications often offer better protection and more security features. Applications such as Bitdefender also have a Gaming Mode feature that ensures that your antivirus doesn’t interfere with your gaming sessions in any way. 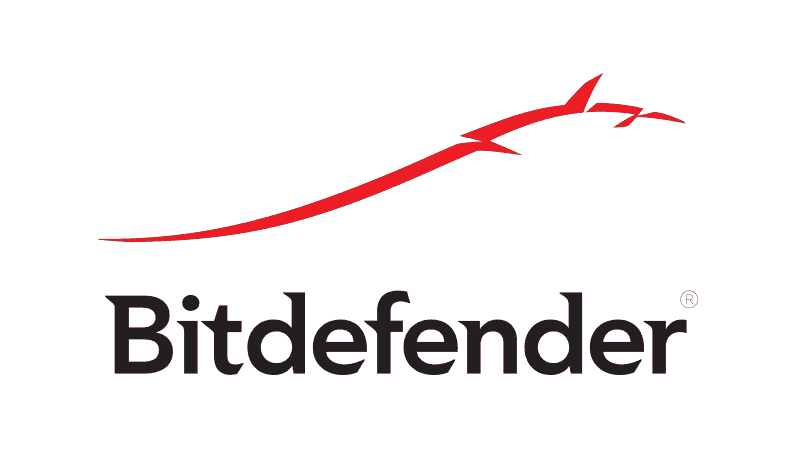 If you’re looking for an antivirus that will protect your PC without interfering with games and other software, you should definitely consider Bitdefender. According to users, sometimes certain features can cause Windows Defender to close games. This antivirus has a useful feature called Controlled folder access, and thanks to this feature it protects certain folders from third-party applications. Open the Settings app and navigate to Windows Defender Security Center. 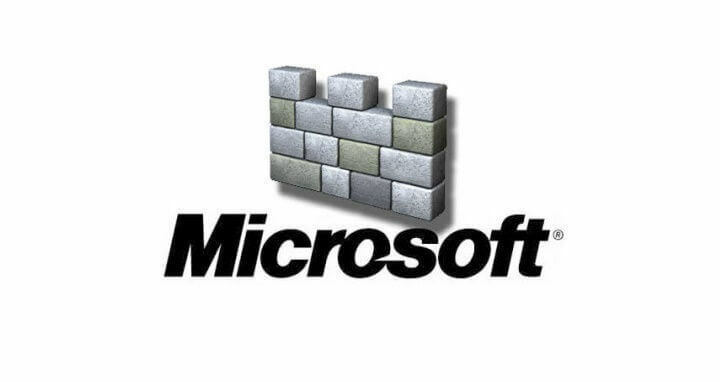 When Windows Defender Security Center opens, go to Virus & threat protection in the left pane. 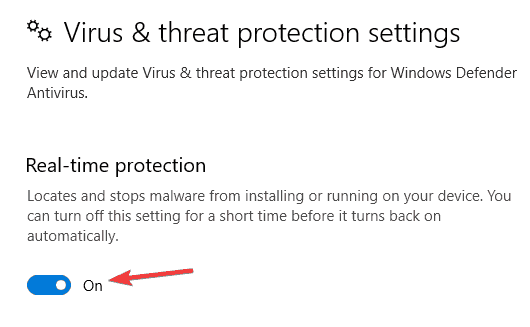 In the right pane, click on Virus & threat protection settings. Scroll all the way down to the Controlled folder access section and click Manage Controlled folder access. 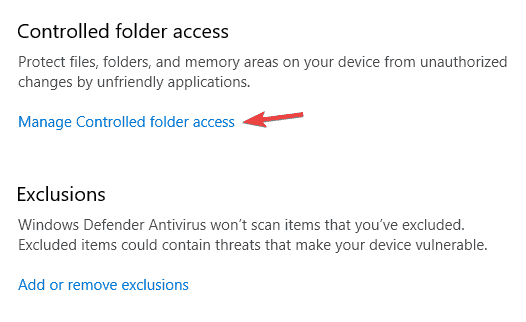 Disable Controlled folder access feature. After turning this feature off, your games and other applications should be able to modify your directories, and the issue should be permanently resolved. 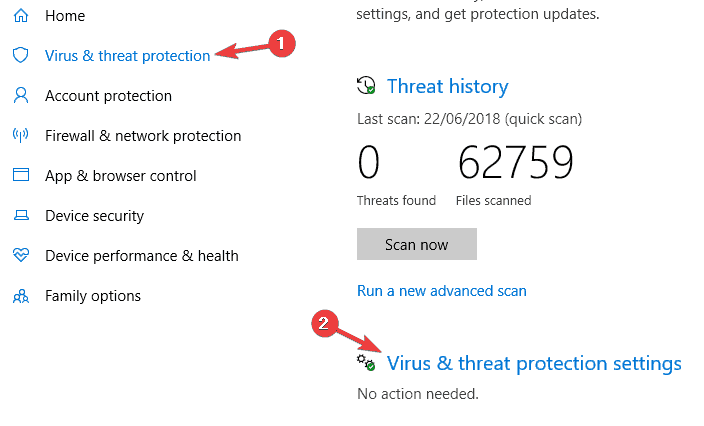 Windows Defender scans your computer in real-time, and if it notices anything suspicious it will block it from running or give you a notification. Sometimes Windows Defender can interfere with certain software, and that can lead to various issues. However, you can circumvent this issue simply by disabling real-time protection. Go to the Virus & threat protection and then choose Virus & threat protection settings. Locate Real-time protection option and disable it. Once you disable real-time protection, your games should start working again without any issues. Keep in mind that disabling this option will make your system more vulnerable, so use this workaround only during the gameplay sessions. Once you’re done with the game, be sure to turn on Real-time protection once again. Locate the application you’re trying to run, right-click it and choose Properties from the menu. 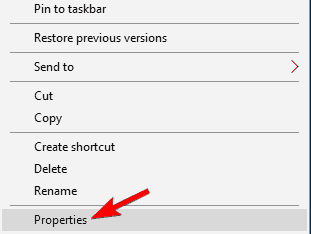 Now you should see the Unblock option at the bottom of the Properties window. Check the Unblock option and click Apply and OK to save changes. After doing that, the application should be able to run without any problems. When Settings app opens, go to Gaming section. 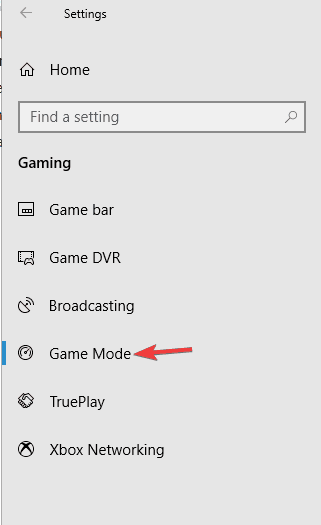 In the left pane, select Game Mode and enable Game Mode feature. After enabling Game Mode feature, you should be able to run your games without any interference. According to users, sometimes there might be a bug with Windows Defender that causes issues with games. However, you can fix the problem simply by installing the latest Windows updates. 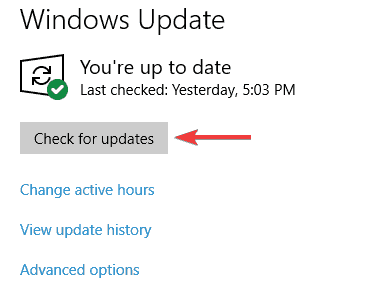 Microsoft is frequently releasing new system updates, and these updates address various bugs and issues, so if you’re having any problems with Windows Defender, be sure to keep your system up to date. Open the Settings app and navigate to Update & Security section. If any updates are available, they will be downloaded automatically in the background. Once the updates are downloaded, you’ll install them automatically as soon as your system restarts. Once everything is up to date, check if the problem is still there. If Windows Defender keeps closing your games and other applications, you might be able to fix the problem by performing an in-place upgrade. This process will reinstall Windows 10 and force it to upgrade to the latest version. Select Upgrade this PC and follow the instructions on the screen. Select Download and install updates (recommended). Follow the instructions until you reach Ready to install screen. Choose Change what to keep. Follow the instructions to complete the process. Once the in-place upgrade is finished, you’ll have the latest version of Windows 10 installed and the problems with Windows Defender should be resolved. At the moment we don’t have any other solutions how to fix this issue, but we’ll keep you updated with new solutions if we find them. 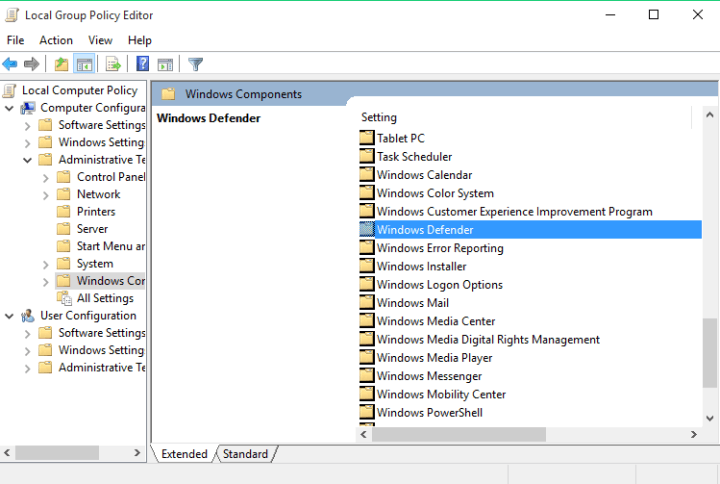 Meanwhile, we also have an article regarding Windows Defender, so you can learn more about it. 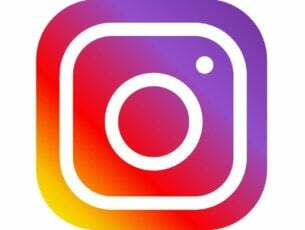 If you have any comments, questions or suggestions, reach for the comment section below, and maybe we can help you even more.